Share the post "Postmenopausal Bleeding Should Prompt a Visit with Your Physician"
I am 54-year-old woman in good health. I assumed I was postmenopausal, as I hadn’t had a period for nearly two years. But then last week I had a period that lasted five or six days. Should I see a doctor? ANSWER: Yes, you should see your doctor promptly to have this evaluated. If you haven’t had a period for almost two years, you’re definitely past menopause. Natural menopause is the date of your last menstrual period, which is confirmed after 12 consecutive months without a period. Although the average age of menopause for women in the United States is around 51, it can occur anytime between the ages of 40 and 60 years. No amount of vaginal bleeding or spotting after menopause is normal. Most conditions that cause postmenopausal bleeding are benign, but it could be something more serious. That’s why consulting your doctor is important. Uterine polyps or uterine fibroids could be another possible cause. If present, uterine polyps need to be removed, because in rare cases they can be a potential site of cancerous growths. 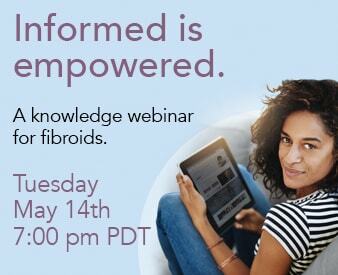 Fibroids are noncancerous (benign) growths in the uterus.